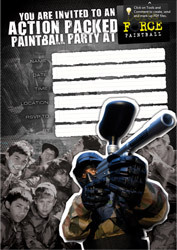 Are you organising an awesome day of paintball for yourself and mates? Need help in rounding up the troops? 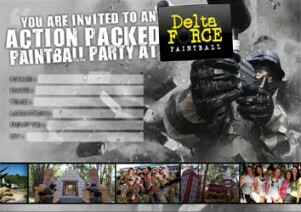 The following Delta Force Paintball invitations are yours to download and get everyone excited for the big day! It’s easy! Print and fill them out, and send them out to your prospective paintball comrades in arms! In order to speed up the registration process for you and your mates, please download, print and complete the player registration form prior to your game day at Delta Force Paintball Dingley.